whats up with orange?? well, the combination of this two color really blooming your look! 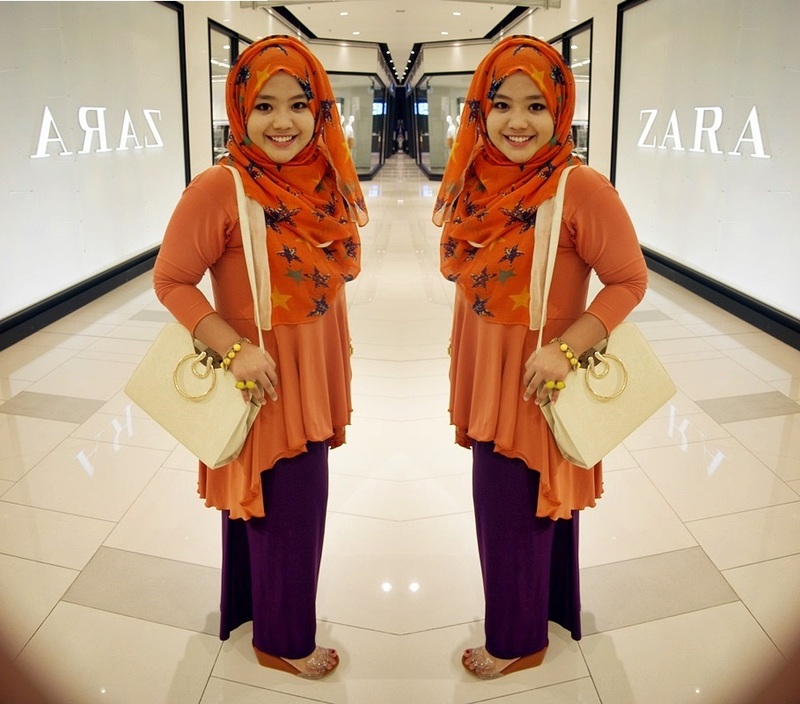 wearing the orange Qaleesha dress from KZNabihah Collection..
not to forget my transparent wedges from YMS! cantikla pakai shawl mcm tu. Orange and purple. New combination. Selalu tengok yellow and purple.